Coming March 27, 2016. 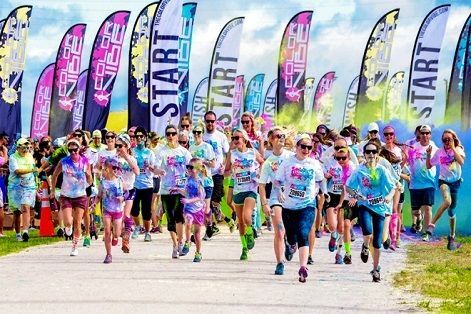 Turn yourself into a multi-colored Easter egg at the Color Vibe 5K! Held at the Royal Windsor Racecourse, due east of London, this is a fun, un-timed event where you won’t have to worry about street traffic during the run. There will be 4 color stations throughout the 5K course, where volunteers will douse you with non-toxic, biodegradable, cornstarch-based color powder. Celebrations at the finish line include a dance party and of course, more color that you get to toss on your fellow runners! A fun, color-ific event!